The Titanfall 2 Xbox One X enhancements have been detailed by the game’s lead producer, Drew McCoy. 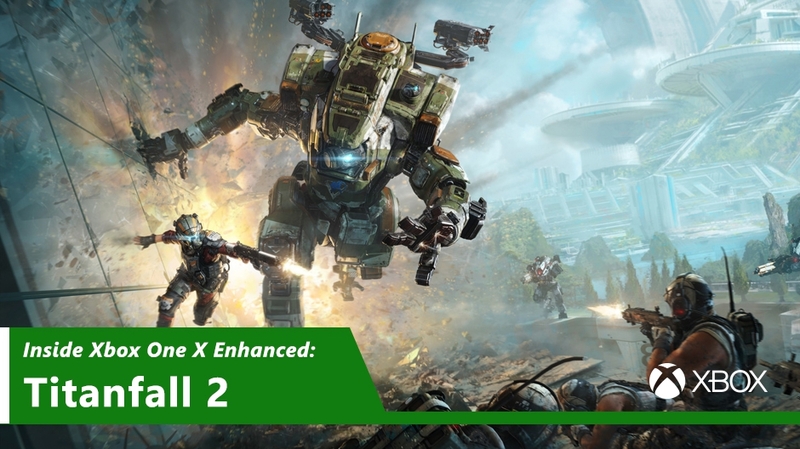 We knew that Respawn Entertainment’s latest Titanfall entry would receive an Xbox One X update, but the specific enhancements on Microsoft’s enhanced Xbox One weren’t announced yet. In an interview with Xbox Wire, lead producer McCoy has now revealed how the team has enhanced the game for the Xbox One X. Apart from running in 4K, the rendering details and dynamic resolution cap have been increased, and Dynamic Superscaling has been brought over from the PC version of the game. These enhancements allow for a much clearer and sharper image presentation while also offering a more fluid framerate. Titanfall 2 is available now for Xbox One, PlayStation 4, and PC. Microsoft will release its Xbox One X next week on November 7.